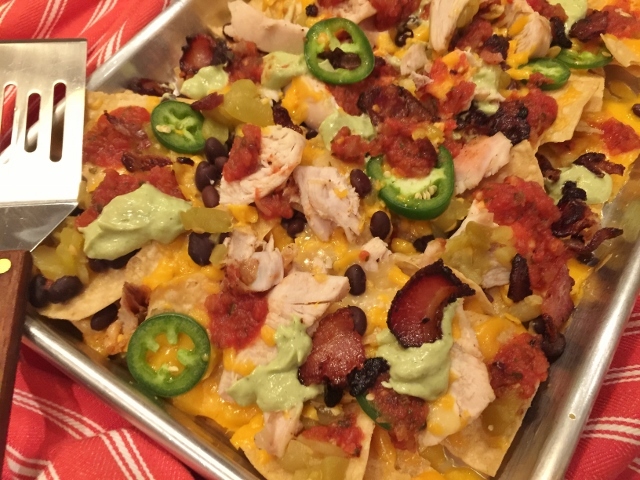 Roast Chicken & Bacon Nachos - Recipe! - Live. Love. Laugh. Food. 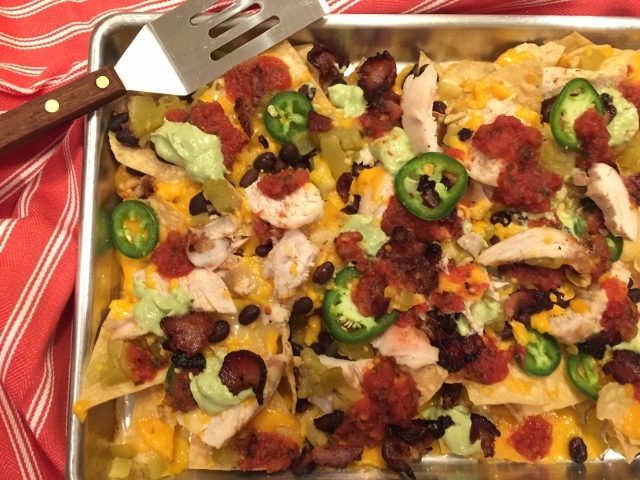 Roast Chicken & Bacon Nachos – Recipe! Okay, I know this is a little last minute, but many of us are still putting together our Superbowl menu. 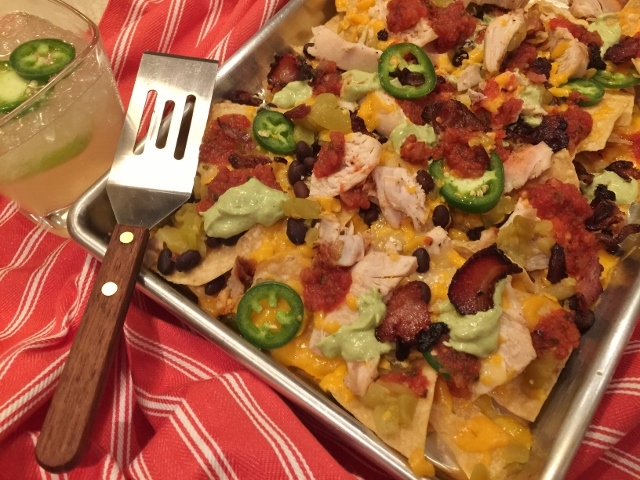 Here is one recipe you shouldn’t miss and it doesn’t take much time at all – Roast Chicken & Bacon Nachos! The roast chicken gives these nachos an extra meaty flavor, and if you include the skin, it adds an even more succulent taste. The crispy bacon on top adds a crunchy porkiness, if that’s a word, to the over-the-top layered cheesy chips. 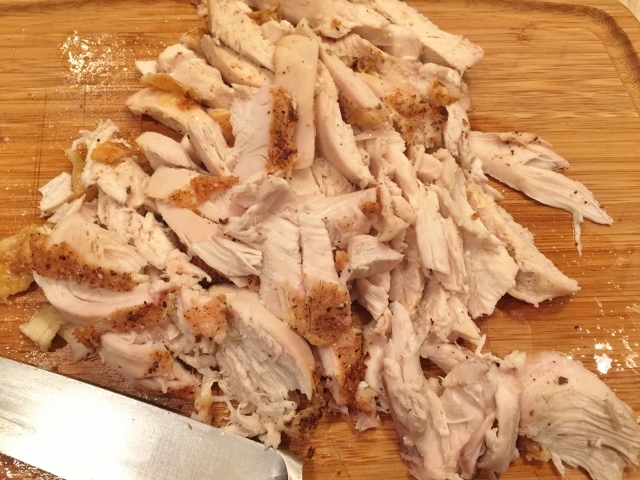 If you don’t have time to roast fresh chicken, you can always substitute rotisserie chicken from the store, as a good alternative. I hope you enjoy the game, I’m rooting for Lady Gaga! 1. Preheat the oven to 425 degrees. Remove the chicken from any packaging. In a small bowl, combine the garlic powder, salt and pepper. 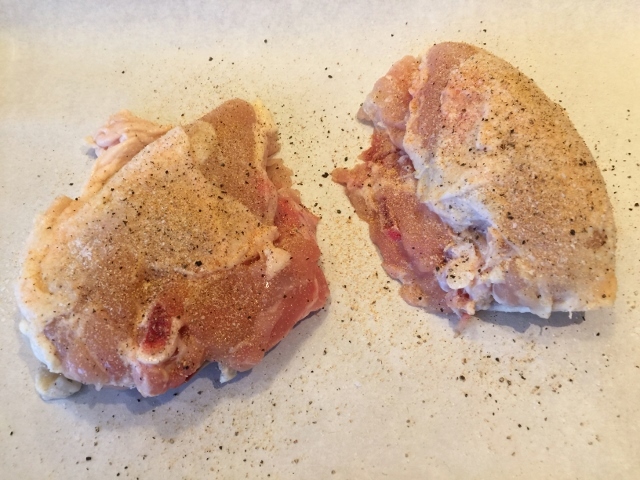 Sprinkle the chicken breasts with seasoning, and place on a sheet pan. Roast in the oven for 50 minutes, remove and let cool 20 minutes. Slice the meat off the breast into 1/2 inch thick slices. 2. 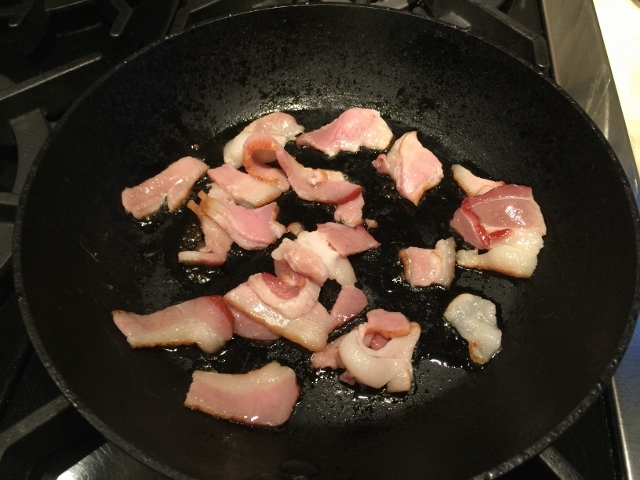 While the chicken is roasting, cook the cut-up bacon in a pan over medium heat. Remove with a slotted spoon and set aside. 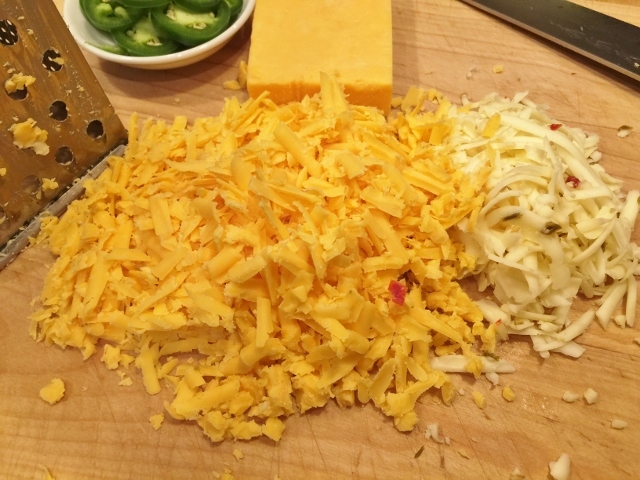 Grate the cheeses and slice the jalapeno, set aside. 3. 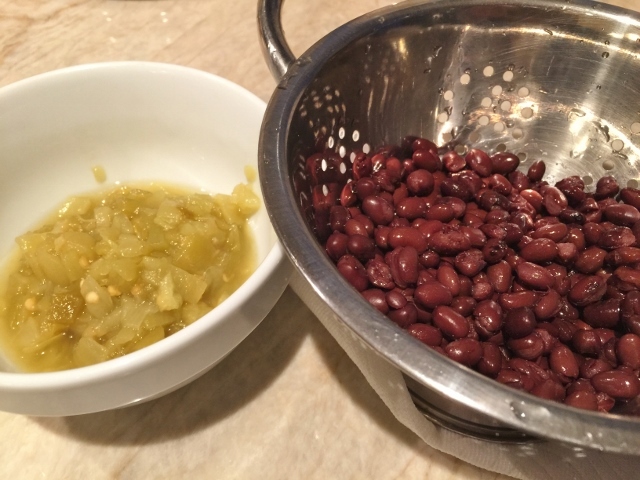 Drain and rinse the black beans and place the green chilies in a bowl. 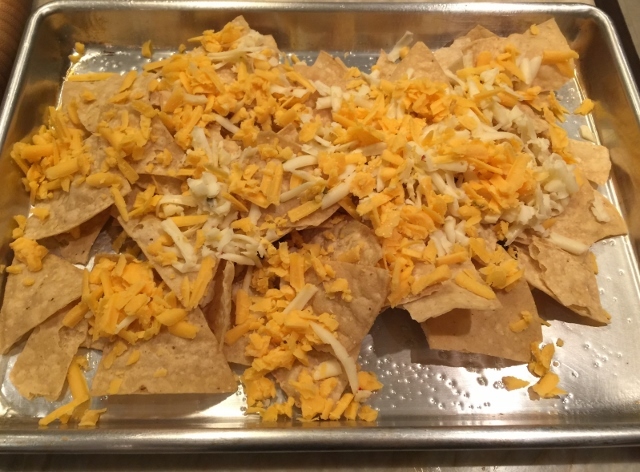 Layer the tortilla chips and most of the cheese on a sheet pan. You can use two smaller sheet pans, if desired. 4. 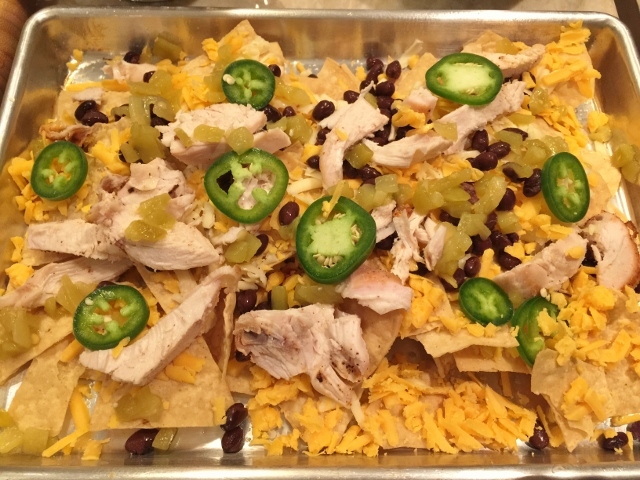 Sprinkle the roast chicken, beans, green chilies and jalapeno over the entire chips and cheese. Top with the additional cheese. Bake in the oven for 10-15 minutes, or until the cheese is melted. Remove from the oven and dollop with salsa, guacamole and sprinkle with crispy bacon. Serve with my Skinny Jalapeno Margaritas, Enjoy! 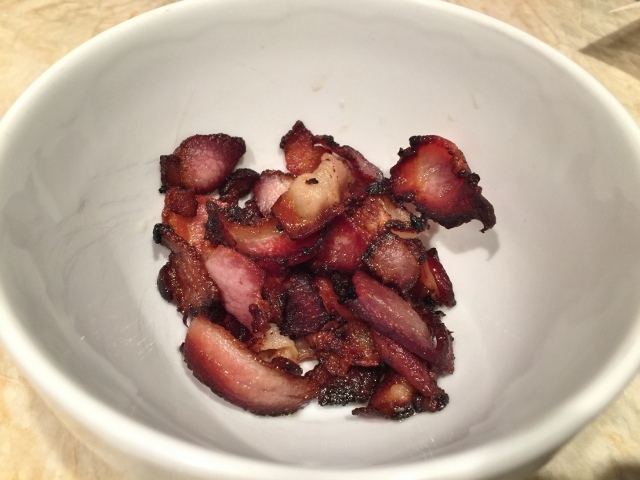 Bacon Nachos RecipeBest Nachos RecipeChicken Nachos Recipecooking with Gena BellFootball AppetizersHow to Make NachosRoast Chicken & Bacon Nachos - Recipe! 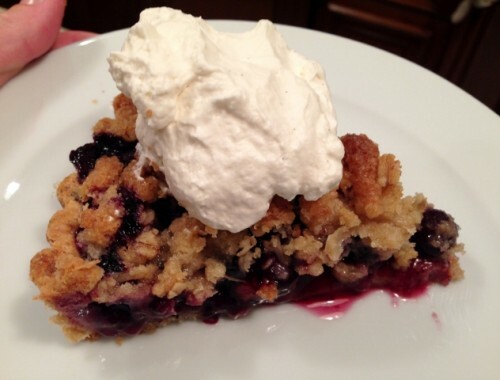 Double Blueberry Tart with Rye Crust – Recipe! 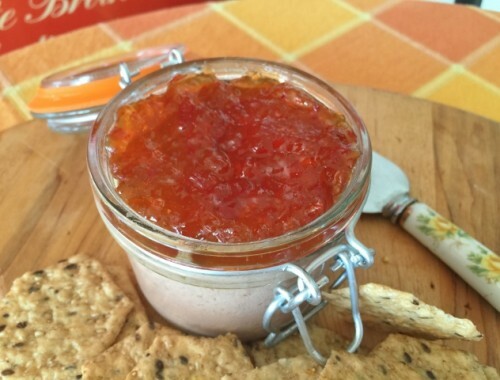 Chicken Liver Mousse Recipe! 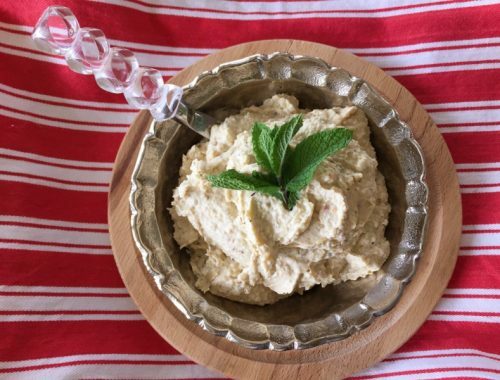 Great Make-Ahead Appetizer for the Holidays!